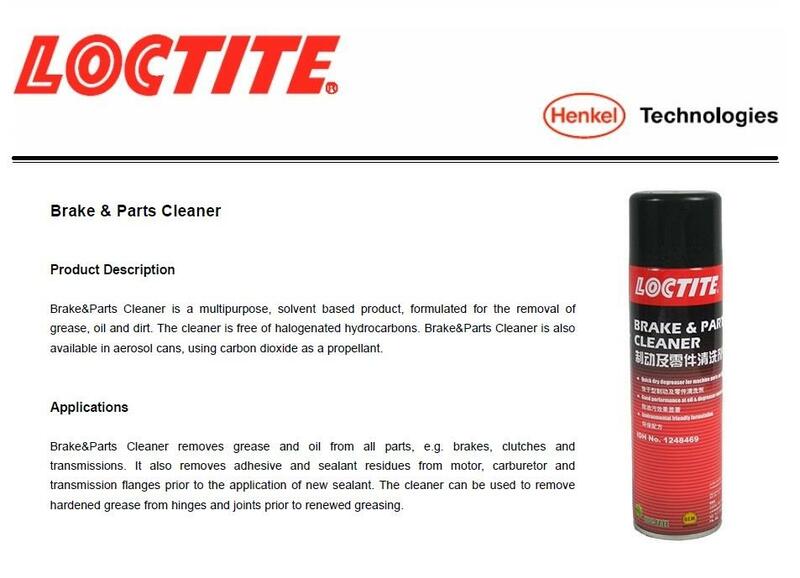 Loctite Brake & Parts Cleaner removes grease and oil from all parts, e.g. Brakes, clutches and transmissions. It also removes adhesives and sealant residues from motor, carburetor and transmission flanges prior to the applicant of new sealant. The cleaner can be used to remove hardened grease from hinges and joints prior to renewed greasing.